Award winning bingo outfit Heart have an amazing mobile app. Slick interface, fun & fast games with great prizes & bonuses. Heart Bingo is quickly building a good reputation for itself. 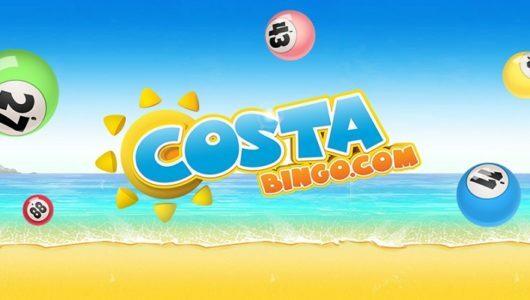 Part of this revolves around giving customers a good diverse choice of bingo games that they can enjoy and increase the number of interfaces at their disposal through which they can enjoy the options on offer. One of these interfaces, their mobile app, is beautifully and rightfully gaining great respect. It is easy to download, is compatible with a host of devices including mobile, Android & iOS and comes with a good number of exclusive points too. Like what you hear? 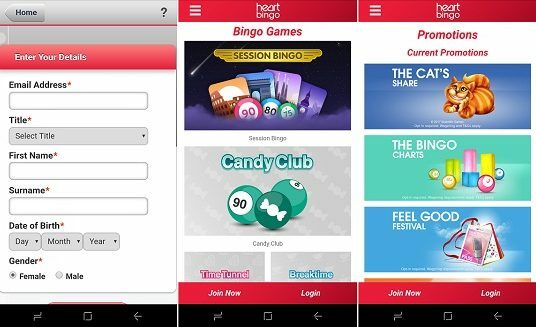 Become a member of Heart bingo on the app, mobile site or online at www.heartbingo.co.uk and you may be eligible for one of their cracking welcome bonuses. Heart don’t stop there, they have a great rewards program, VIP scheme and loads of other great incentives to join. 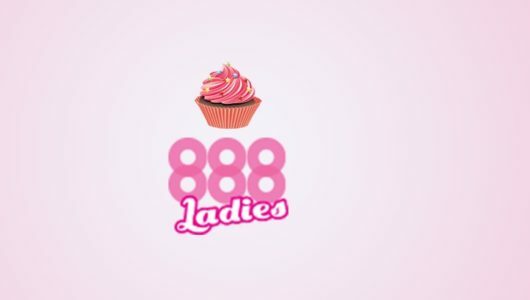 They are that good, they have picked up several awards last year, and even more this this year proving their credentials further including Best Online Bingo Community and the Best Online Slots Game – Double Bubble. Please see the website and mobile site for full bonus details and the latest offers. The platform requires every user to first, create an account before they can download the app. To do so, you need to navigate to www.heartbingo.co.uk on either your mobile or tablet and join. Users who want to download the app to Android devices can then go to the homepage where they will see a ‘Download our app’ icon at the top of the page. A click on this icon will redirect you to another page with a set of instructions on how to download the app. On the same page is a green button labelled ‘Download the app’, which you will need to click on then the Heart bingo APK will download. If you slide down the top menu and click the file, press install you are now installing the app. It will be with the rest of your apps, ready to play. Players downloading the app into their Apple devices can do so directly from the Heart mobile site. However, they need to create an account before doing so to be liable for the welcome bonus, once you have done that, you will be redirected to iTunes to get the app. Enjoying bingo on the Heart Bingo app is a lot of fun which is mainly down to its super simple, user friendly design and architecture. However, decent form and appearance are just a small aspects of this app. Its other features include five exciting bingo rooms; all are very accessible because they are only a few clicks away. Tickets are very reasonably priced and you can play games from as little as 5p. Jackpots are a good standard as are the bonuses for getting a line, 2 lines or house. The Heart bingo app for Android is identical to the version available for iPhone & iPad so you don’t need to think one is better than the other or that you will miss out on certain features. The bingo app from Heart may not offer as wide a choice of games as some of it’s competitors but the ones it does offer, are very good indeed. There are several rooms to choose from including Time Tunnel, Breaktime, Goodybag, Club Classics and several free games. The app, mobile site and website support 75 and 90 ball bingo variations of the game. The design of the app is really good and one of the best thought out apps on the market. It is so easy and quick to select and play games. Heart really have worked hard to make this app appeal and please their players and you can see this with the glowing reviews it gets in the various app stores. It is one of our favourite online and mobile bingo destinations and keeps getting better with each and every update. 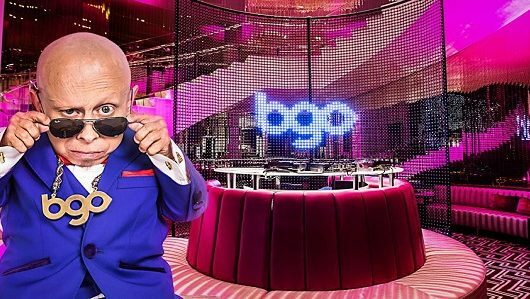 It’s fast, safe and secure and has some of the best bingo games going as well as access to some great casino games too. There are ticket offers available including things like buy 2 get 2 free and other nightly promos. If free games are of interest to you then try out the Doubly Bubbly Daily Free Game. Here you can win cash and Free Spins for free every day of the week! With a £750 top prize available, it really is time you downloaded the app and joined in with the fun! The app also supports a live chat feed where you can talk to and interact with other bingo players. Anyone looking to enjoy bingo will be happy to play on the Heart Bingo Android app for several reasons. The app is user-friendly, packs a ton of games, including a good number of free titles and, it offers great bonuses that you can take advantage of in the many bingo rooms. When you need a change, you can also use the app to play real money casino style games too. You can find all the big casino classics, like Roulette, blackjack and a really good range of instant win slots & scratchcards. There are in fact over 70 games available and you can play them all from the app, using your one Heart bingo log in details. Unlike some apps, there is a demo mode available on most games so you can try them first and find the ones you like before playing for real money. You don’t make a good bingo app and then make it difficult to play bingo on and Hearts bingo app is no exception to that rule. It really is simple to get your tickets and cards and watch your numbers come in. Make sure you have a funded account as you need this to play on any of the games. If you aren’t yet signed up, it only takes a minute to do and can be done on your mobile or online. From there, its all a simple matter of choosing what game you want to play, which is easy. In the lobby, scroll down to bingo games and select the room you wish to play in. Tap the screen and the game then takes a few seconds to loads. At the bottom of the app, press Get tickets, and you can see how much a line is worth, what the jackpot is, how many players are playing, time till the game and ticket cost. Decide on your number of tickets then press buy. You will then be entered in to the game and you can wait for it to start and watch, or you can come back after your ticket has played and see how you have got on, personally I like to see the cards being played and numbers marked off. Like most on line providers, Heart bingo normally have a new customers sign up bonus and welcome package. Now these offers change regularly and we would recommend checking the website and mobiel site to see the most up to date offers available. The handy promotions tab on the app gives you all you need to know about the offers and promos. 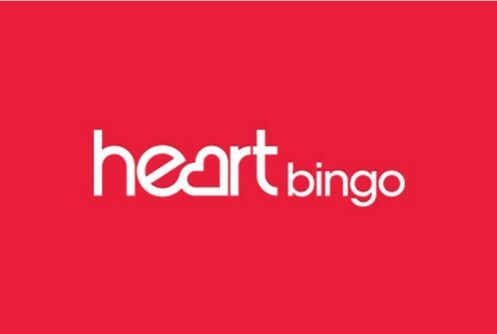 Get a friend to join Heart Bingo and earn £20! You can earn £20* for every friend that you invite to Heart Bingo! All they have to do is register, deposit a minimum of £10, wager a minimum total of £20 and satisfy the wagering requirements (some games contribute less than others to the wagering requirements). Once they’ve completed these simple steps, you’ll receive a fantastic £20! Similar to other bingo sites, Heart Bingo has a marvelous rewards points system where you can earn points each time you play on the site. You can earn 1 Reward Point for every £5 you spend on bingo, or for every £20 you play on slots. These points can be redeemed for cash at Heart Bingo’s Reward Station. It’s a great reward scheme that we recommend you join up to. If you’re a Heart Bingo VIP, you’ll enjoy plenty of exclusive promotions and some very special cash bonuses! From holiday vouchers and once-in-a-lifetime experiences, to shopping days and regular loyalty cash bonuses, we’ll have everything just for you! You’ll also have access to a dedicated team too. Be wowed every weeknight by a guaranteed £500 Full Houses! Debit and credit card – Visa, Maestro, MasterCard, PayPal, Paysafecard, Skrill, NETELLER, cheque or bank transfer. The minimum withdrawal amount is set at £10 and a pretty industry standard processing time of 48 hours is applicable. Depositing to your account is almost instant meaning you can play straight away.